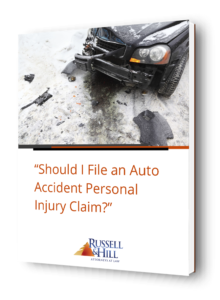 If you have been hurt in a personal injury accident in the Mukilteo area, contact Russell & Hill, PLLC, by filling out our free personal injury evaluation form or call us at 888-379-9517 to arrange an initial consultation. Personal injury accidents can happen anytime and anywhere. Whether it’s caused by a car, a truck, physician’s malpractice, workplace negligence, or another type of accident, or navigating Maritime or Jones Act Law, Russell & Hill, PLLC, is ready and equipped to serve you. 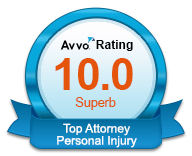 Our trained and experienced personal injury attorneys will help you receive the compensation you deserve. Begin the road to recovery by filling out our injury evaluation form. Our team of attorneys has represented thousands of personal injury victims throughout the Pacific Northwest, and we are committed to serving Mukilteo residents with the same passion and expertise. We understand how frustrating this situation can be for victims and their families. Our highest priority is to swiftly bring about full and fair compensation for all your physical, emotional, and financial suffering. In some cases, a personal injury accident is caused by intentional actions or strict liability, but most often the incident is caused by the negligence of a third party. If you have been injured in any one of these circumstances, our attorneys will fight for your compensation. We know how injuries can affect an individual, especially if the injured person is unable to work, which would cause hospital bills to quickly pile up. We will seek compensation for all of your medical bills, lost wages, and suffering, as well as any future medical care that you require. Once we take on a Mukilteo client, we will work closely with them, carefully investigating every minute detail regarding the case. We will study the accident meticulously until we fully understand the cause and extent of the accident, as well as the resulting injuries, losses, and costs. 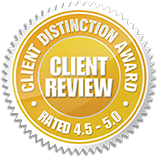 When the case requires it, we partner with outside experts to help prove our clients’ position. We often bring in accident scene reconstructionists, for example, who can recreate the scene of the injury and help determine who was at fault. We also involve medical testimony and vocational experts to verify the extent of the injury and how it has truly affected the client’s ability to work. We know just how important this information is in SSDI proceedings. Our preparation of your case will leave no guesswork for the insurance company. 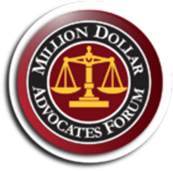 After presenting your case, you may be entitled to recover personal injury monetary damages. This will cover all the losses and expenses that came as a direct result of the injury. Whether through a settlement or judgment, your financial comfort is our goal. Having concluded the investigation, determined the responsible party and cause of the accident, and reviewed your monetary damages, we will take your claim and present it to the insurance companies. Our attorneys are experts at negotiating, and the insurance companies take us seriously because they know we are prepared to take them to court if necessary. We build every case to be successful, resulting in a fair settlement or a judgment.